What could be better than sitting in front of a fireplace with a cup of hot cocoa and a fleece blanket? 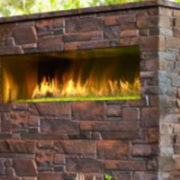 When you’re ready to get cozy, and you need a reputable fireplace store in NJ, consult with the family owned and operated Rettinger Fireplace Systems. 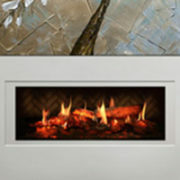 Rettinger Fireplace Systems is one of the leading fireplace stores in New Jersey. 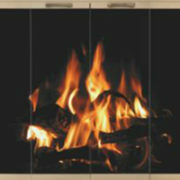 We provide a full line of gas, wood, and pellet burning fireplaces for customers who want to keep warm this winter. 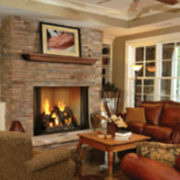 Our team can also help you decide what kind of fireplace system is best for your home. In fact, here are a few reasons to consider one of our pellet stoves. 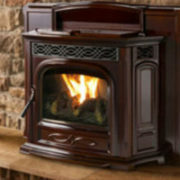 One of the best qualities of a pellet stove is its lack of smoke. Pellet stoves are clean burning, and you’ll never have to worry about clearing smoke from the room after the fire dies out. Pellet stoves can be vented from most rooms to the exterior, which makes them a great option for anyone looking for an efficient source of heat. 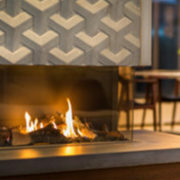 Also, you won’t have to deal with any of the unpleasant charred smells that often accompany other kinds of fireplaces. Another benefit of owning a pellet stove is its ease of use. 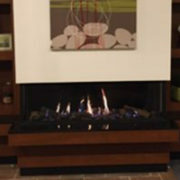 Generally speaking, pellet stoves are the easiest fireplaces to operate. Although pellet stoves involve daily and weekly cleaning to ensure they run properly, most people only need to load the pellets once every day or two. Loading the pellets is easy, as well. You just pull out the hopper and drop in the desired amount of pellets. Pellet stoves are among the most efficient solid-fuel burning fireplaces. They can easily heat up a living space and keep it cozy and warm. Most modern pellet stoves also have thermostatic functions that operate the stove only when needed. Which in the long run saves you time, money and pellets. The pellets used in a pellet stove are dense which means that they burn efficiently. They also release less harmful gases into the air than regular wood burning stoves release. Furthermore, wood pellets are composed of recycled wood from sawmills. They are made from sawdust and wood shavings.